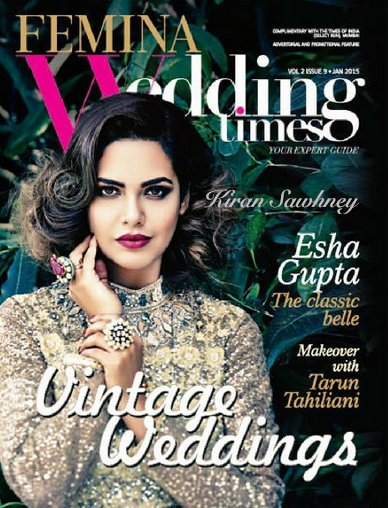 In the current issue of Femina Wedding times, Esha is wearing Tarun Tahiliani. Its is a nice shoot. We specially like the ensemble and the lip color.